WHEN the hammer fell following the sale of Stan Gscheidle's pen of simmental cross steers, he walked away a happy man. He had sold a 13 head for 3.58c/kg totalling just over $1400 per head. It was the best price he'd received in more than 60 years farming cattle. "I've never got up that high before," Stan said. Like many producers Stan is riding a sustained wave of high prices. 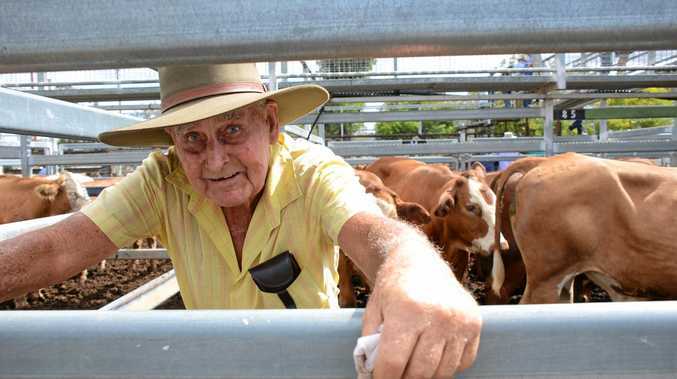 "I've sold 24 all up, 13 steers, one cow, nine heifers and one little bully fella," Stan said. The micky bull would have rolled in with the steers but had some difficulty finding its family jewels. "When I tried to do him with the burdizzos I couldn't find any, he dropped one but he hasn't dropped it right down, it's on the side." That micky bull sold for just over $1180. Stan runs a 133 hectare property at Woorroonden, between Cloyna and Hivesville and he's been on the property since he moved to the district. "I came up here in '63 I think it was," Stan said. "I used to work in a butter factory at Crows Nest. "I started off with a cream run, things went wrong with the factory and the boss wanted to know if I'd work after bought the cream in and then I got in there permanently." Matt Dalgleish is a beef market analyst with Mecardo and he reckons the good prices should carry through until at least the beginning of the 2018 season. "In the last few weeks Queensland generally has seen a lift in prices," Mr Dalgleish said. While the start the year has been dry and hot, Mr Dalgleish said there's enough optimism around to prop up the store cattle market. 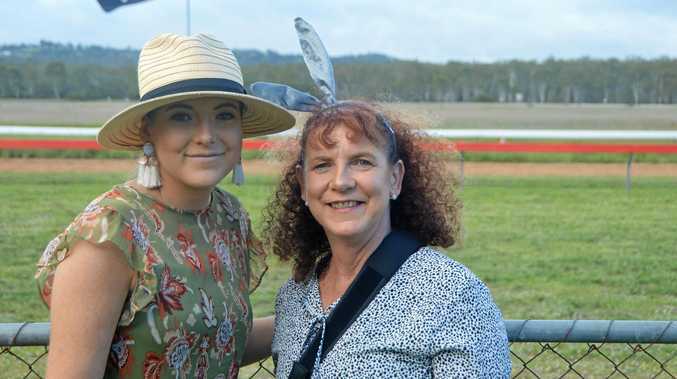 "Because we did have a good rain last year, and with such tight supply, we are not at the stage were people are concerned about about drought," Mr Dalgleish said. "The memory of that is there... but for it to make an impact we'd have to see a much more sustained dry spell." Eventually all this restocking will end with a losing of supply. A dry spell will inevitably hit in the next few years, and the prices will come down. But Mr Dalgleish said that was still a while off.